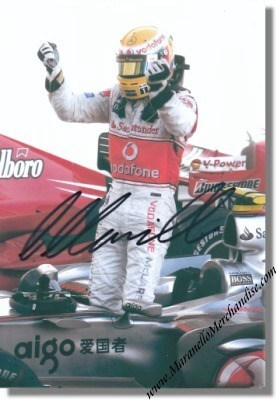 Lewis Hamilton signed McLaren Mercedes Photo. A great shot of a victorious Lewis in his McLaren Mercedes. Lewis personally autographed this photo with a black marker. It measures approximately 15 x 21 cm or 6 x 8 inches.